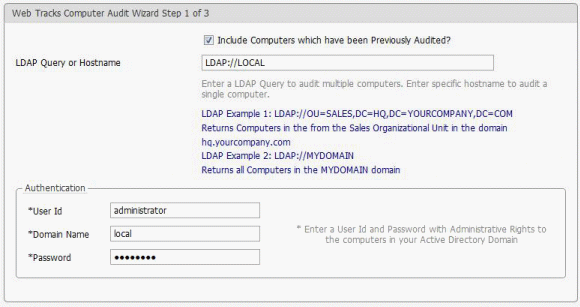 Web Tracks Audit is a tool that will scan your network, audit and import computer records into your Web Tracks database. 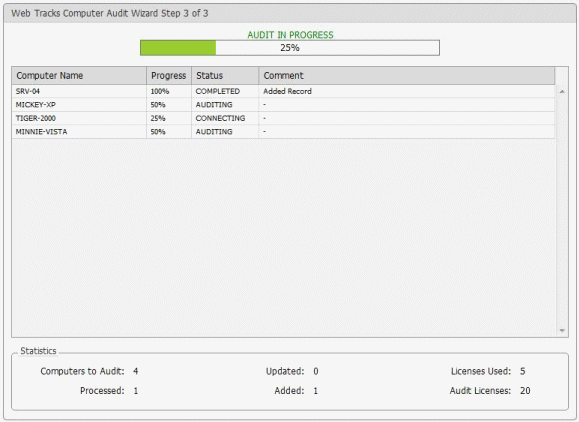 The audit tool does a complete hardware and software audit of each workstation or server. Some of the computer information that Web Tracks keeps track of includes: disk drive information, memory, CPU type, bios information, etc... 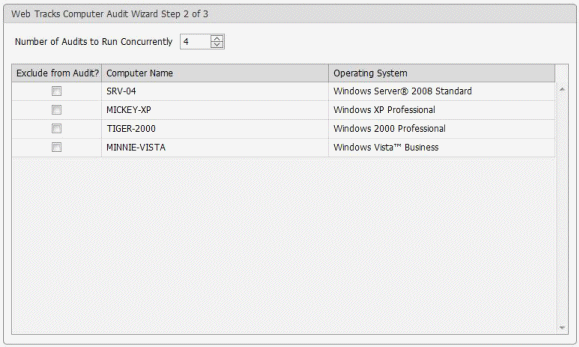 This information allows you to get detailed hardware and software audit reports on all of your computers. The Free Edition includes 20 Audit Licenses while licensed versions of Web Tracks include 100. Licensed versions can increase this base amount by purchasing additional blocks of 100 licenses.